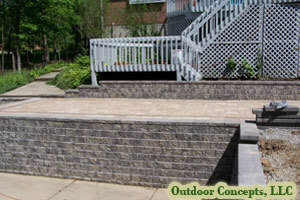 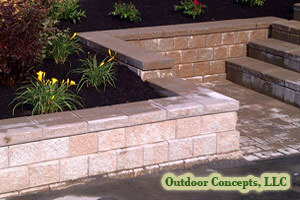 Retaining walls not only serve a necessary function but can enhance your landscape as well. 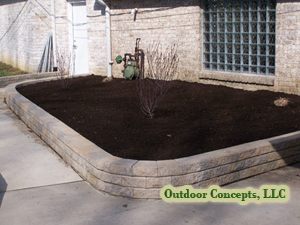 When considering installing walls, there are many options available for materials, style, color and consistency to best blend with the style of your home and look of your landscape. 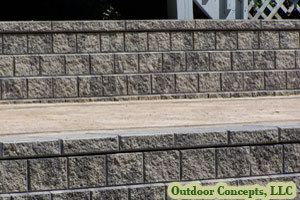 The number one reason walls are installed is for function. 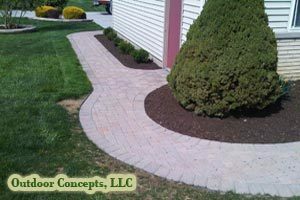 However, there are times when aesthetic considerations trump function and walls are used to add depth and interest to a sloped or steeply-graded area. 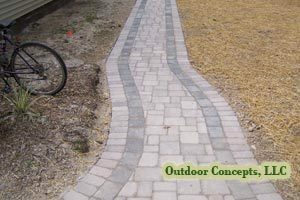 Using interlocking concrete pavers for your patio/walkway/driveway design provides unlimited possibilities in design concepts. 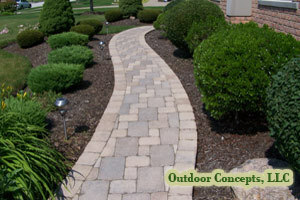 You can choose from many different and beautiful colors and styles. 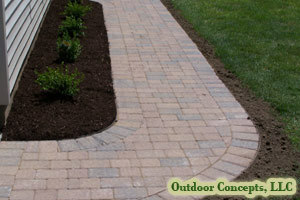 Pavers have different shapes, textures, surfaces, colors and provide any number of different design ideas. 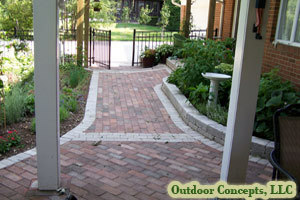 Additionally there are a vast number of patterns in which to lay the pavers. 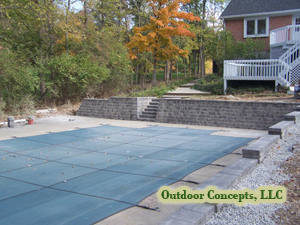 Whether your looking for modern, contemporary or victorian, let the professionals at Outdoor Concepts help you find the look you're searching for.